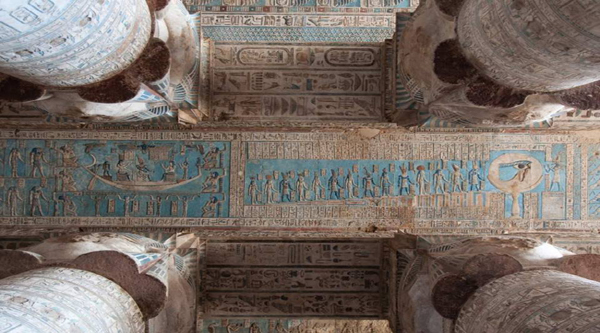 A private tour to Luxor with a unique opportunity to visit a beautiful temple of Hathor at Dandara. 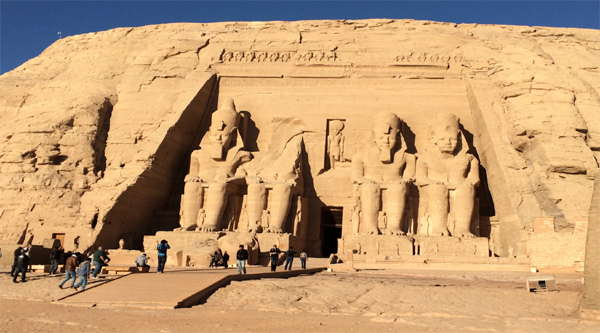 Our tour will let you discover a very well preserved Dandara temple of goddess Hathor as well as visit Karnak and Hatshepsut temples in Luxor plus a short stop at Memnon Colossi. 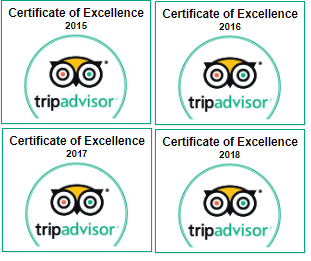 Pick up in the early morning from any hotel in Hurghada. Should you wish to be picked up from other areas including Makadi Bay, Sahl Hashish, el-Gouna or Safaga additional transfer fee will be applied. Transfer to Dandara by a/c vehicle may take up to 4 hours. 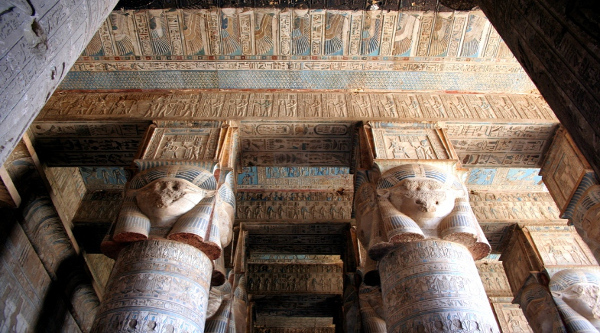 Arrival in Dendera and exploration of the temple of Hathor . After let’s move to Luxor to explore this ancient city. First we will explore the east bank of the city. 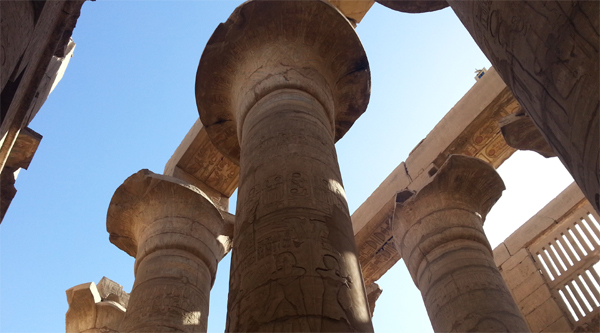 Our goal is the Greatest religious complex of all times Karnak temple. It is not just one temple, but temple within temple. So many small temples and shrines can be discovered there, old and new pylons , Sacred lake and a famous statue of a Scarab. We will spend around two hours walking inside temple and taking great pictures of the area. 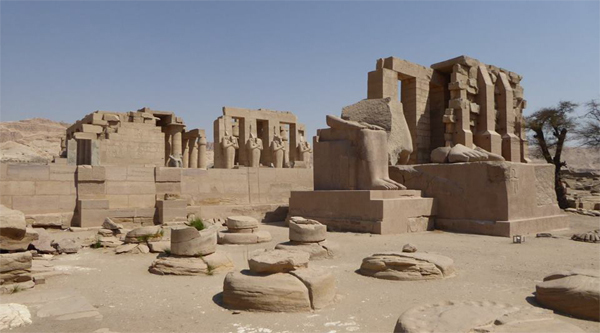 Now time to cross the Nile and discover Queen Hatshepsut temple, a woman Pharaoh Queen, and have a stop at newly discovered and restored Memnon Colossi and Amenhotep III temple. It is believed that there was a woman in old days named Hatshepsut. It was not possible for women to be a queen or rule the country during those days in Egypt. She was used to dress up like a man, no one knew that it was a woman. Her identity was revealed only after her death. 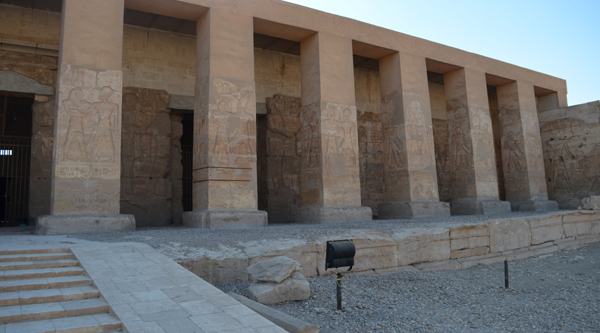 A mortuary of this Queen is situated in the middle of the desert close to Luxor city and known as Mortuary Temple of Queen Hatshepsut. After the visit let’s have a look inside an Alabaster factory and discover how in ancient Egypt Egyptians made their vessels and jars. Lunch in a local restaurant (drinks are not included and can be ordered with extra charge will be offered in the city after visits). After we finish our Luxor city exploration we will move back to Hurghada. Estimated arrival time 10 pm.